16’ by 64’ Sheep Barn in northern Connecticut. 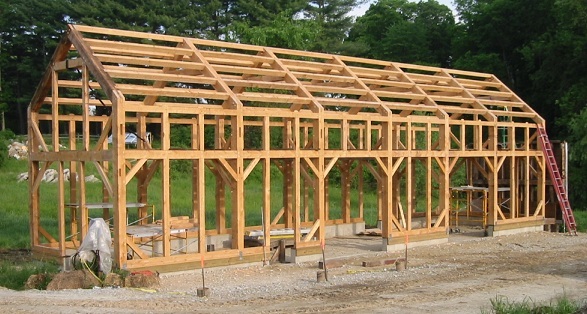 Hemlock timber frame with clear preservative finish. 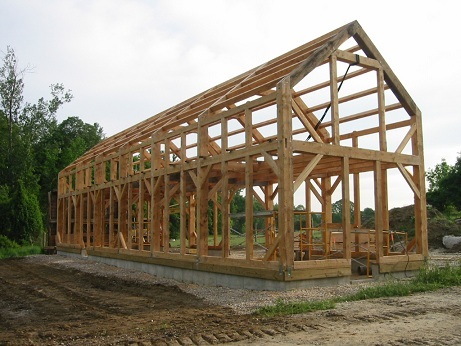 Twelve prize sheep, the owners desire for chickens, workshop and storage space along with zoning regulations that permitted only a replacement of an existing dilapidated barn on the same footprint all conspired to drive the design of this barn. 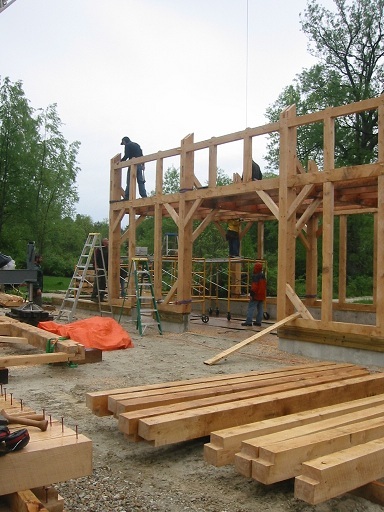 We designed the foundation and timber frame, cut all the joinery and then with the owners help and crew, raised the frame on the new foundation.